Patel MC, Patil CC Formulation and Evaluation of Mucoadhesive Buccal Tablets of Repaglinide. Redha AO, Aziz TA World Journal of Pharmaceutical Sciences. DavidovichâPinhas M, BiancoâPeled H (2014) Methods to Study Mucoadhesive Dosage Forms. Mucoadhesive Materials and Drug Delivery Systems 175-196. COSTA SP (2016) ObtenÃ§Ã£o de sitemas polimÃ©ricos microparticulados para o aumento da velocidade de dissoluÃ§Ã£o do efavirenz na terapia anti-HIV. PHYTOCHEMICAL C, LEAF O .EUROPEAN JOURNAL OF PHARMACEUTICAL AND MEDICAL RESEARCH. Devi BN (2012) Phytochemical Investigation and Cardiotonic Activity of Rosa Centifolia Flowers (Linn.) Doctoral dissertation, KLE University, Belgaum, Karnataka. Demirbas A, Bafail A, Ahmad W, Sheikh M (2016) Biodiesel production from non-edible plant oils. Energy Exploration & Exploitation 34: 290-318. Raghavendra H, Mallikarjun N, Venugopal T, HS AK (2012) Elemental composition, anticariogenic, pancreatic lipase inhibitory and cytotoxic activity of Artocarpus lakoocha Roxb pericarp. International Journal of Drug Development and Research 4: 330-336. Chirisa E, Mukanganyama S (2016) Evaluation of in Vitro Anti-inflammatory and Antioxidant Activity of Selected Zimbabwean Plant Extracts. Journal of Herbs, Spices & Medicinal Plants 22: 157-172. Yaqeen Z, Rehman ZU, Fatima N (2015) Pharmacological rational of dry ripe fruit of Aegle marmelos L. as an anti-nociceptive agent in different painful conditions. Pak. J. Pharm. Sci 28: 515-519. Nayak D, Ashe S, Rauta PR, Nayak B (2016). Assessment of antioxidant, antimicrobial and anti-osteosarcoma potential of four traditionally used Indian medicinal plants. Journal of Applied Biomedicine. Patkar Atul N, Desai Nilesh V, Ranage Akkatai A, Kalekar Kamlakar S. INTERNATIONAL RESEARCH JOURNAL OF PHARMACY. Prashith KTR, Junaid S, Dileep N, Rakesh KN, Vinayaka KS (2013) Anticaries activity of Usnea pictoides G. Awasthi-A macrolichen from Western Ghats of Karnataka, India. Science, Technology and Arts Research Journal. 2: 87-90. Bhatnagar S, Swain S, Sahoo M (2015). 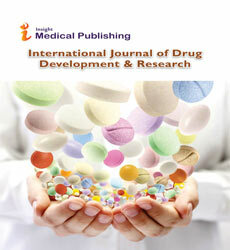 WORLD JOURNAL OF PHARMACEUTICAL RESEARCH. Sridhar N, Raghavendra M, Prasad MNV, Kiran BS, Kanthal LK. Screening the Fruits of Aegle marmelos for Antibacterial, Anthelmintic and Cardiotonic Properties. Vivek MN, Sunil SV, Pramod NJ, Prashith KTR, Mukunda S, et al. (2012) Anticariogenic activity of Lagerstroemia speciosa (L.). Science, Technology and Arts Research Journal. 1: 53-56. Bakshi V (2016) Formulation and Evaluation of Gastro Retentive Floating Microspheres of Nimodipine. Asian J Pharm 10. Kumar SPN, Kanthal LK, Durga S, Raju DAR, Satyavati K. Phytochemical Evaluation and Screening of Cardiotonic, Antibacterial and Anthelmintic Activities of Sida cordifolia L.
Bhatnagar S, Maharana S (2015) PHYTOCHEMICAL, CYTOTOXIC AND ANTIOXIDANT ACTIVITIES OF LEAF EXTRACTS OF ARISTOLOCHIA INDICA (LINN. ).